I love cocktails that are fizzy, simple, and almost savory in profile - especially during the Holiday season, when it seems that every party or gathering I attend is chock full of overly sweet eggnog or cranberry based drinks that are only good for ensuring a hangover the next day. So, I’ve devised the perfect holiday cocktail that is not only pretty, color appropriate, but is also clean, delicious, and high in antioxidants to help ensure a morning after sans headache. This “Don’t Take Me for POMEGRANATE This Christmas” cocktail falls under the category pf CLEAR & BRIGHT - Something light, effervescent that is the perfect aperitif before dinner, and particularly pretty, delicious to hold while mingling at a party. 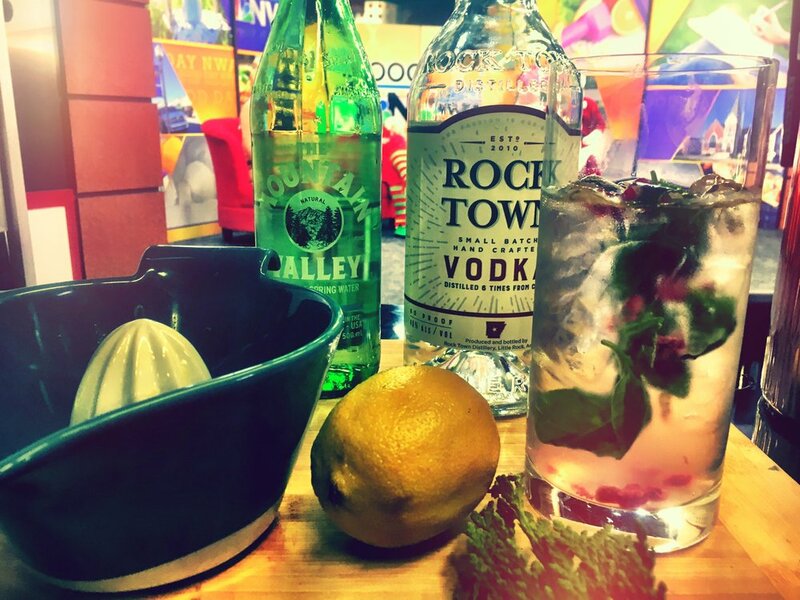 Be sure to watch me make this beautiful cocktail Christmas Eve on Good Day NWA at 12:30pm - Cheers!